Showcasing 18 photographers and over 250 works, this mammoth exhibition (requiring at least a couple of visits to appreciate in detail) surveys the intimate relationship between structures and images, buildings and their inhabitants, and architects and photographers over the last 90 years. 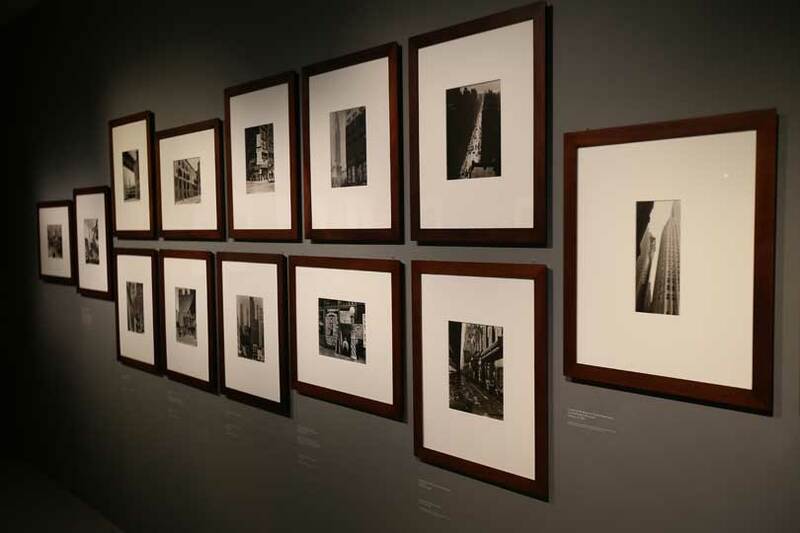 The show begins its chronicle of the modern age in a conventional time and place – New York in the 1930s, all dazzling angles and sharp contrasts in Berenice Abbott’s black and white photographs. Indeed, the first half of the exhibition is dominated by images of the United States in the work of Walker Evans, Julius Shulman and Stephen Shore. Particular attention is paid to the everyday exuberance of American signage – a Manhattan restaurant offering meatballs with beans for 10 cents, a movie billboard in Atlanta promoting Love Before Breakfast with Carole Lombard – while Shulman’s vision shimmers with seduction, his technicolour shots of immaculate modernist homes defining dreams of a Californian lifestyle. In the second half of the show the images get more global, more contemporary and much bigger. 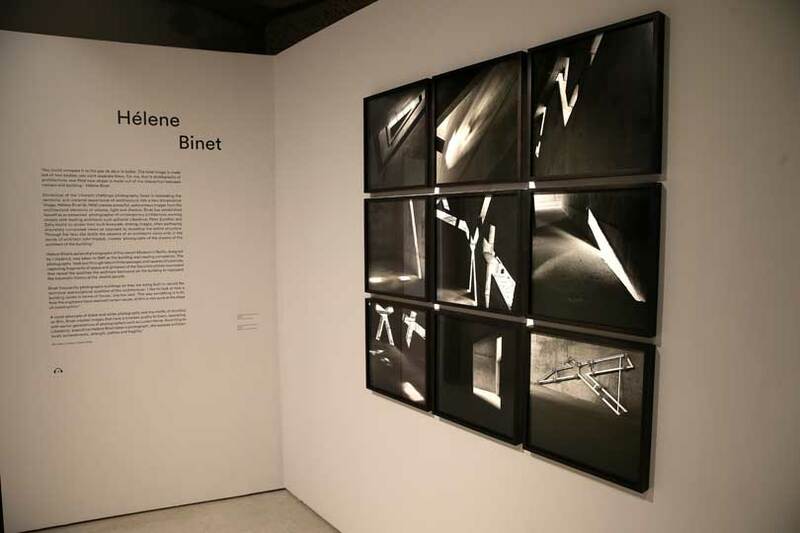 Large-scale visions of Chinese engineering projects emerge in the work of Nadav Kander, while in their different ways, Hélène Binet and Simon Norfolk engage with an architecture of conflict – the former capturing the discordant spaces of Daniel Libeskind’s Jewish Museum in Berlin, the latter documenting recent destruction in Iraq and Afghanistan. The most dramatic room in the show features two massive prints by Andreas Gursky (including one of a São Paulo subway station where the blurred heads and screaming faces seem to have walked in from a Francis Bacon painting) alongside works by Bas Princen and Guy Tillim – all hung in a double-height space with a monumental pillar at its centre. The installation is a reminder that the concrete wonderland of the Barbican continues to be spectacularly photogenic itself – as the pictures of it adorning T-shirts, mugs and iPhone cases in the shop testify. 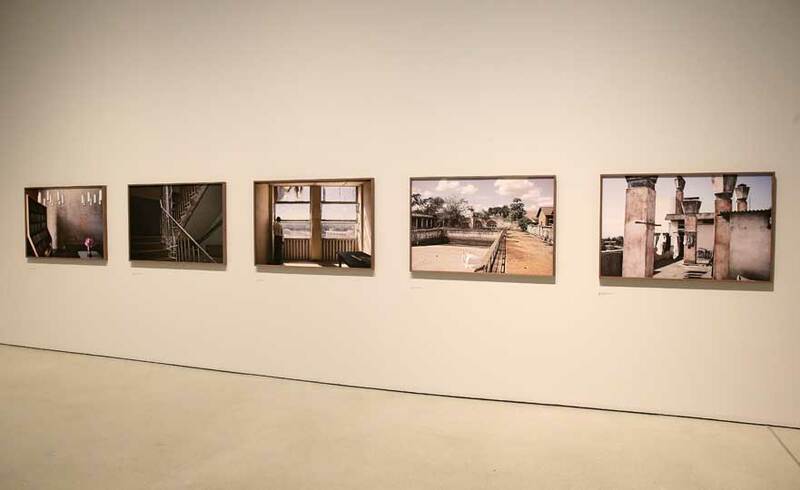 Yet, Tillim’s images of derelict plazas and exhausted interiors in Mozambique and DR Congo, like Iwan Baan’s sequences showing a half-finished complex in Caracas at the end of the show, demonstrate that for many photographers it’s been modernity’s ruined spaces and architectural failings that have proved most compelling. 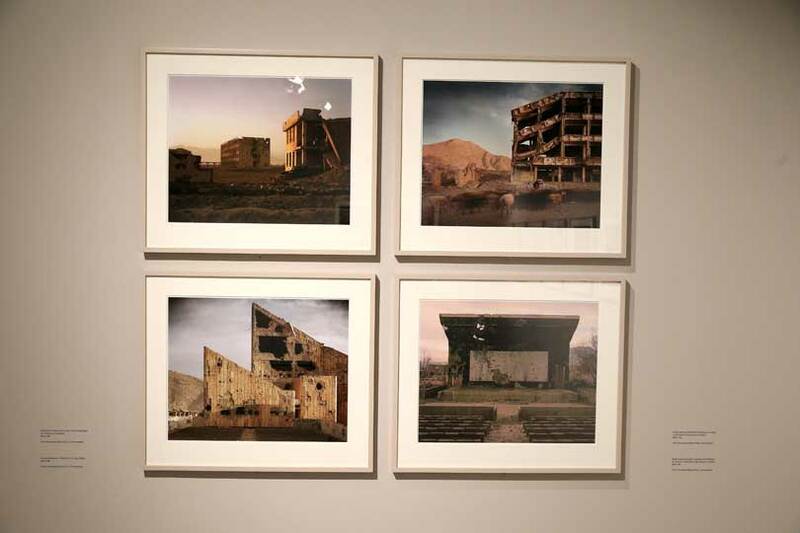 In a sense, this exhibition is as much about neglected or decaying worlds – spaces of poverty, vulnerability and collapse – as those constructed with skyscraper ambitions. 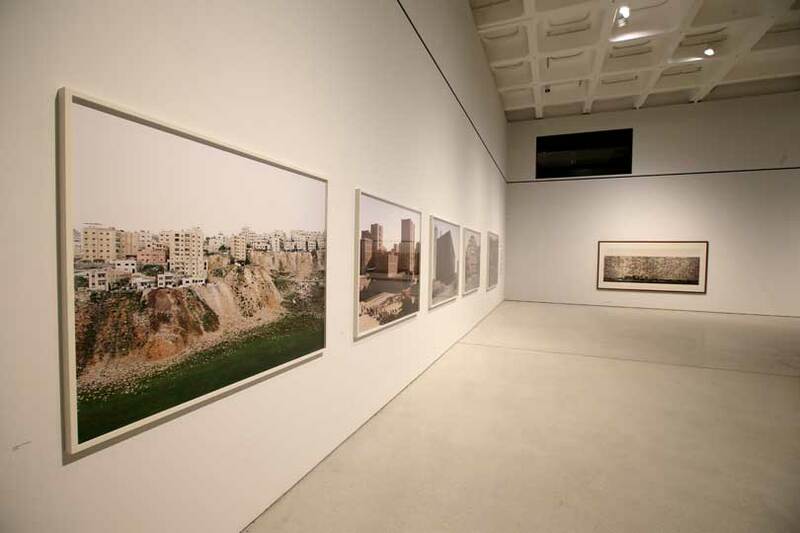 ‘Constructing Worlds: Photography and Architecture in the Modern Age’ is at the Barbican Art Gallery until 11 January 2015. Do art historians and other art authenticators need greater legal protection?